oil and graphite on wood panel. 2005. 'All the Real Girls' at Gallery 1988. Los Angeles, US. 14"x10" oil and graphite on wood panel. 2005. 'Not So Soft' at Black Market. Los Angeles, US. 9"x11.5" oil and graphite on wood panel. 2005. 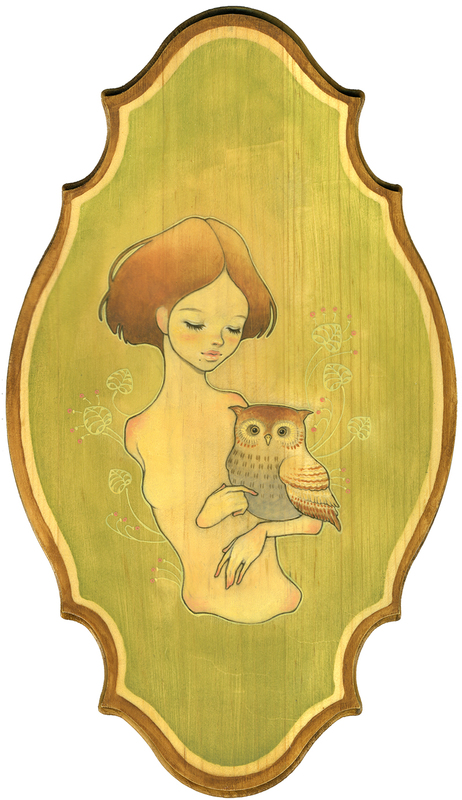 5.5"x10.5" oil and graphite on wood panel. 2005. 5.5"x17" oil and graphite on wood panel. 2005. 11"x21.5" oil and graphite on wood panel. 2005. 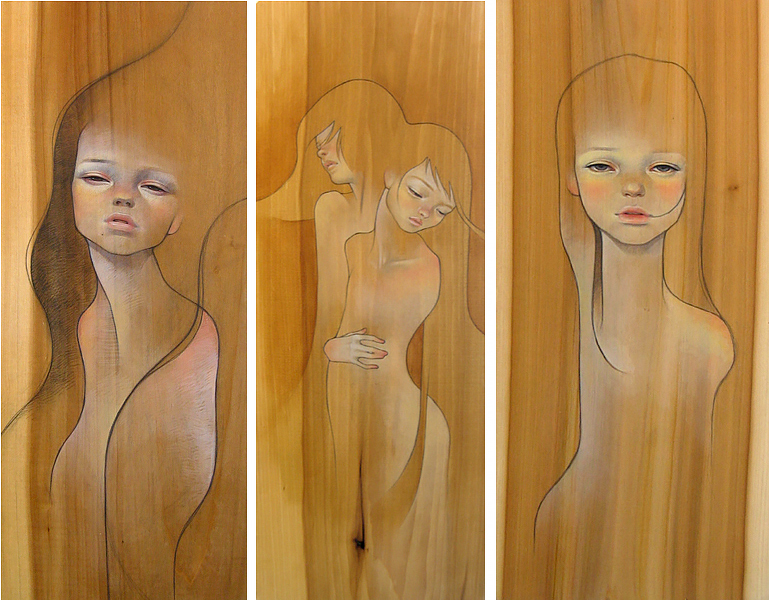 11"x27.5" oil and graphite on wood panel. 2005. 18"x23" oil and graphite on wood panel. 2005. 15"x15" oil and graphite on wood panel. 2005. 5"x13" oil and graphite on wood panel. 2005. 3"x4" oil and graphite on wood panel. 2005. 4.5"x2" oil and graphite on wood panel. 2005. 14"x27" oil and graphite on wood panel. 2005. 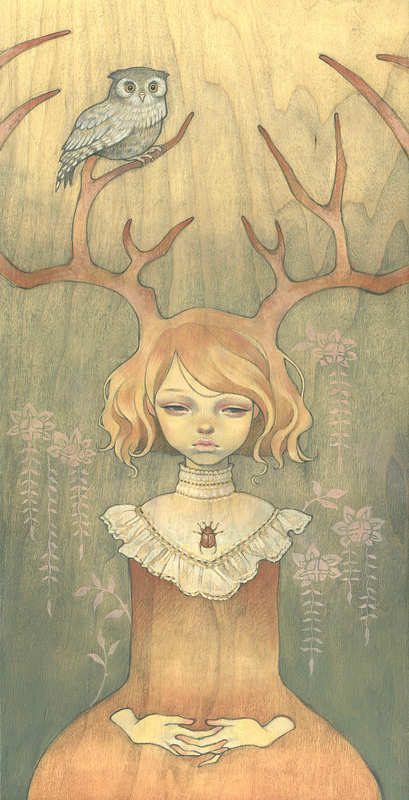 'Picks of the Harvest' at Thinkspace Gallery. Los Angeles, US. 12"x25" oil and graphite on wood panel. 2005. 'Samhain Party' at Copro Nason. Los Angeles, US. 9"x9" oil and graphite on wood panel. 2005. 9"x11" oil and graphite on wood panel. 2005. 8"x12" oil and graphite on wood panel. 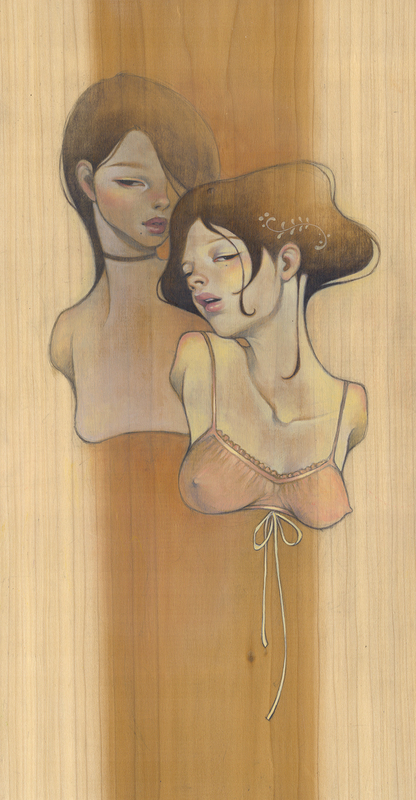 2005.
oil and graphite on wood panel. 2003. 'Midori Series' at Room Cafe. Los Angeles, US. oil and graphite on wood panel. 2004. 'From a Small Green Room' at Black Market. Long Beach, US. 5.5"x10.5" oil and graphite on wood panel. 2004.